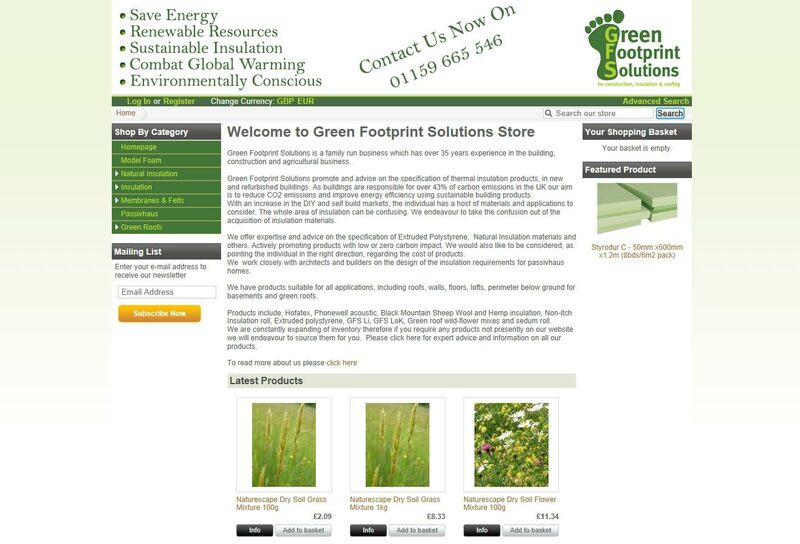 Green FootPrint Solutions (GreenFS) are a company who sell Insultaion Products/Materials. 3D Virtual Tours originally built their technical website and were re-approached to create an eCommerce storefront for them. The technical website (GreenFS) was designed for large scale building clients whereas, the aim for GreenFS Online is primarily focused on the small builder/tradesman and home improvements. For this project, we reviewed several shopping cart systems then decided on Cube Cart as the Store Content Management System (CMS). The final design was created by modification and re-design of the template and layout files.